Each day about 2 million blog posts, and billions of content pieces on Twitter, Facebook, Instagram and other platforms are published without fail. Marketers are faced with capturing their own new Pokémon monsters to stand out and lead. Despite these glaring statistics, 76% of B2B marketers and 77% of B2C marketers plan to create more content this year. Scaling content marketing is not just expensive but often confusing as most efforts tend to be me-too initiatives. Remarkably, 66% marketers are creating content without a documented strategy. Many marketers do not have a specific approach towards defining success. To differentiate yourself the 3Ts – or the trilogy of right tools, teams and an element of tolerance – is critical. In this post, I’ll go through each of these in detail and share views on how your content marketing can be scaled for future brand success. What’s the key goal of your content marketing program? How do you define the success of your content marketing program and how are you measuring it? What resources and tools have you planned to use? If you have a documented plan and know answers to these questions, you’re already ahead in the game. You know that the key to success is in being able to scale and prioritize efforts that work. Without scaling your efforts effectively, content is unlikely to show a positive ROI. Experience shows, scaling doesn’t come without its own obstacles. New Channels: It’s unending. Each day you’re faced with the proliferation of more channels and platforms on the social web. Where do you start? Low Efficiencies: Creating content is far from free. Creating substantial content for global markets using new platforms, while maintaining efficiency at scale is a challenge for any brand – no matter their size. A well thought out content marketing strategy can help create operational efficiencies, new creative energy and also aid in risk management. All you need is to focus on the 3Ts of content marketing: your teams, tools and tolerance. I’ll go through each of these spokes of content success with examples to help you see the light at the end of the tunnel. How to scale your content marketing efforts: the 3Ts. Technology is the underlying enabler of operational efficiency. You need to get out of your own way and work with automated tools. Throughout the content marketing lifecycle, marketers are adopting tools for automation, measurement, distribution, creation, curation and publishing. Tools also enable marketers to get real time analytics for data based decision making keeping the strategy flexible. Choose tools based on your goals with specific KPIs that you’re tracking as success parameters. This tool selection is key. 67% marketers named measurement as the top area in which they needed to invest. Much of the scaling operations involve you trying to identify content that your audience is finding a connect with. While many tools (good old Google analytics) are able to generate this, an interesting case study comes from the newspaper Telegraph. Journalism of the past was based on the writer/ editor’s instinct. But now, data on which piece of content is doing really well. You also need to identify sources that are referring traffic to your content. 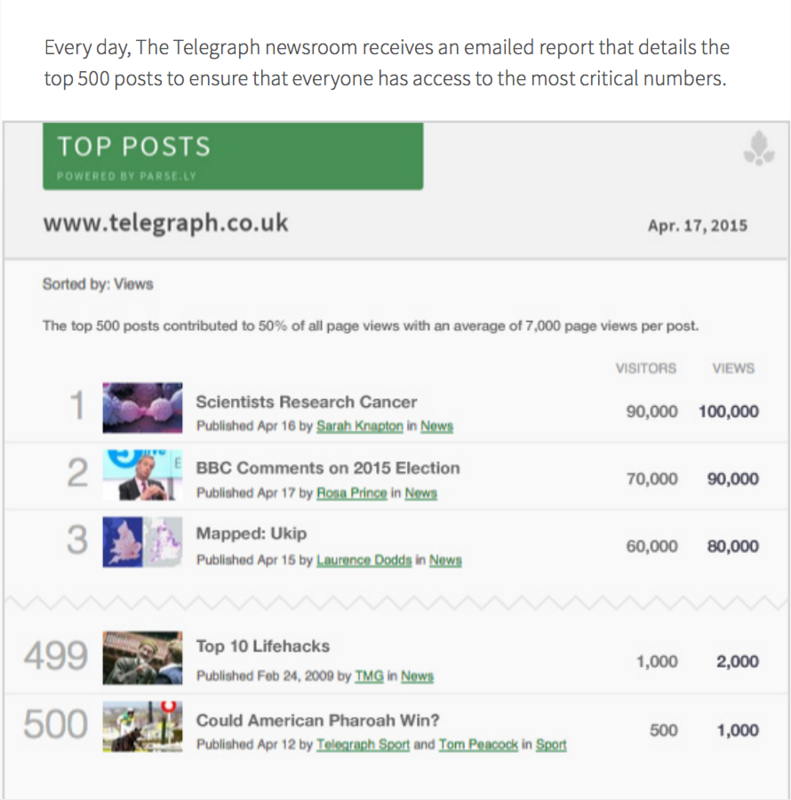 Using a tool called Parse.ly has enabled Telegraph to map user data, and optimize the content that does well without burdening the writers. With 100 million visitors a month, you can imagine how important it is for them to be able to consolidate data insights on an everyday basis. Content is a team sport. And there’s absolutely no denying that. Content marketing at scale needs the effort of teams within and outside the organization for both co-creation and distribution. There are many tools that allow you to build integration with social platforms and provide analytics that you can track, in collaboration with your team to improve. I like using Buffer, TweetDeck, HootSuite which all come with collaborative features and analytics. 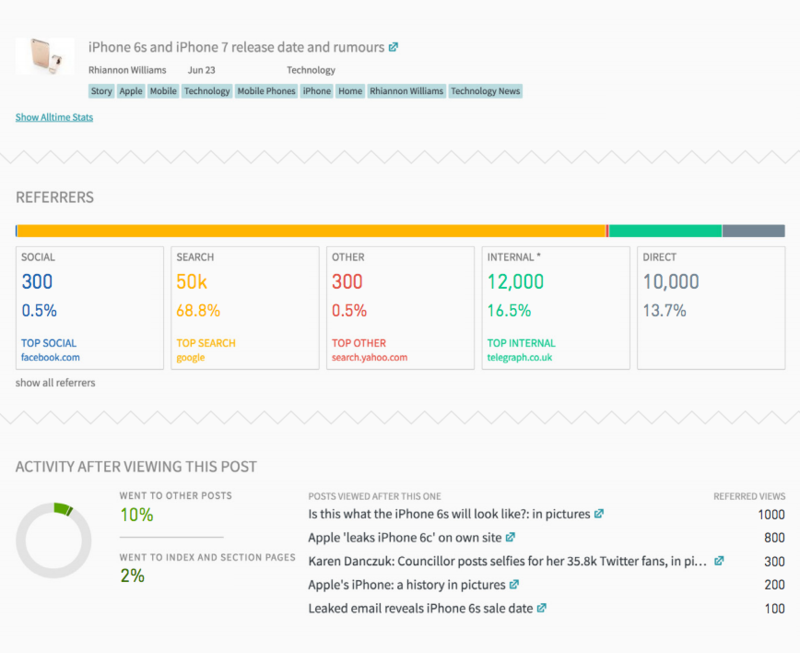 I also like checking out trending topics using BuzzSumo. The example I will share in detail, however, comes from small business CRM provider, Zoho, which has launched its social product recently. For a current client of mine, we were working on improving top of mind brand recall using social media (Facebook, specifically). While native Facebook insights are really solid in terms of the sheer amount of data they share, discussing it with the team efficiently often needs more visual dashboards which Zoho Social provides. Here’s a snapshot of a 30-day performance report (easily downloadable) for the client. The good news is that, at one quick glance you’re able to see the the entire content engagement funnel, and more importantly the total reach (you can also see details per content piece). By setting up a private group on the tool, I am able to share it internally with the team, as we collaborate and discuss the metrics for further improvement. The tool also provides stats on the community like demographics, sources of likes, most engaged community members, types of content creating most engagement etc. My favorite aspect while scheduling is a “smart Q”, which tells me at a certain time, what percentage of the top brand engagers I will reach. This is a ready made guide for posting at the right time, always! As marketers, finding a single platform to get all the details in, is often not easy. Choosing the best tools is a great win in that direction. Instead of spending hours with manual reporting and adding onto your email queue, you save time by a quick chat with the team, and visual dashboards. Your team’s time can now be invested in creating more relevant and timely content. To enable what ex-Head of Strategy at NewsCred, Michael Brenner, calls the “culture of content”, brands need to articulate the importance of content across the organization. The common goals and creative approach needs to be shared and made accessible. It’s important to create a risk-free feedback culture encouraging creativity and content flows both bottom up and top down. Engaged employees in a culture of creativity, within a brand tend to be more productive. An interesting case study of a company connecting with its internal employees as brand ambassadors comes from former mobile giant Nokia. 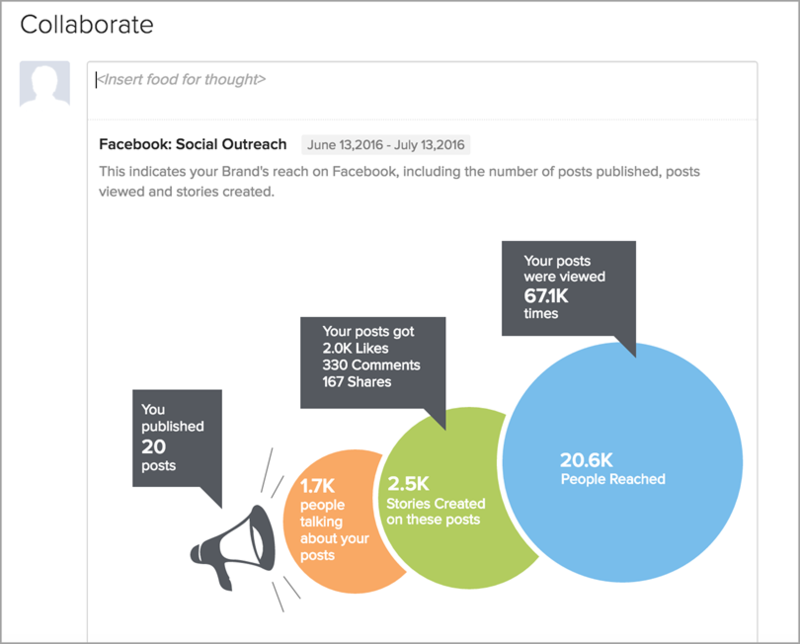 The company uses SocialCast and Agora (tools) to share information, visualize social data and encourage employees to share stories across social media. The tools pick up and curate every social story related to the company. This enables Nokia to have an army of creators and distributors while maintaining the spirit of the Nokia brand. After all, who likes the brand more than its own employees? 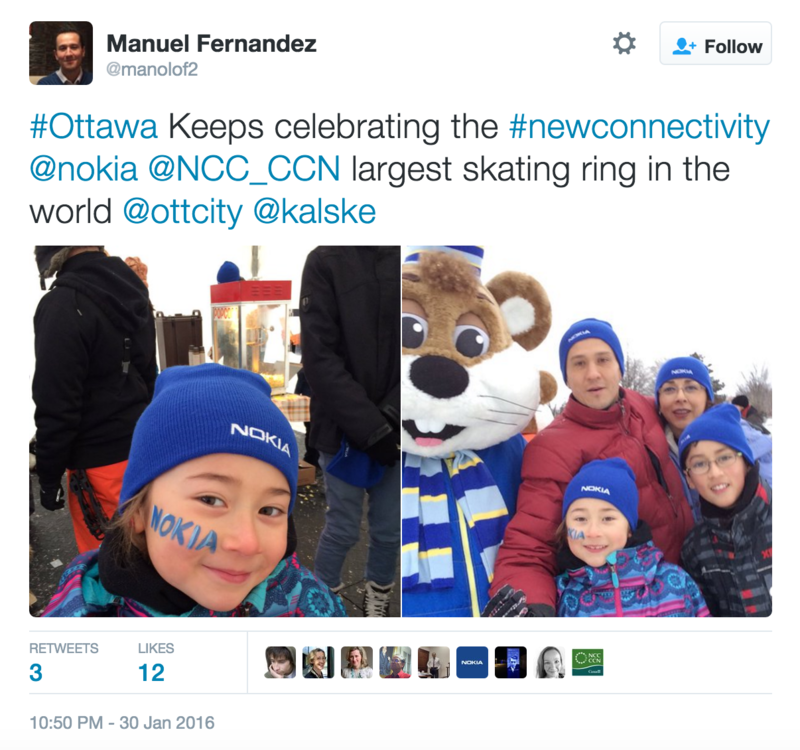 Nokia uses social stories internally to inspire or motivate and externally for social hiring and talent management. No wonder, it is often seen as one of the most sociable brands online. 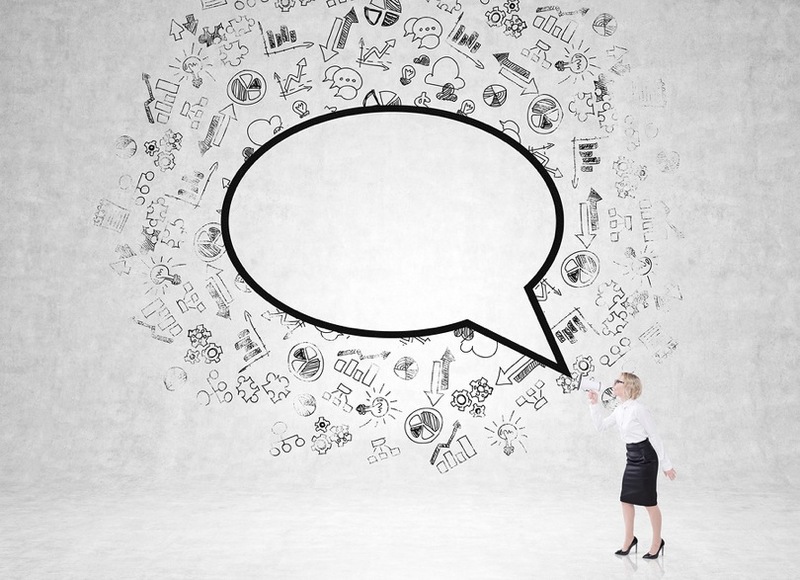 With a few thousand employees, any content generated by the brand is shared internally and externally using the strong push from employee amplification. What are some of the challenges you’re facing as you scale your content marketing initiatives? Share your thoughts with me in the comments here or on Twitter! Guest Author: Upasna Kakroo (@upasnakakroo) is the co-founder of Brandanew , helping brands create compelling stories and content marketing strategies. Upasna has 13+ years of global experience in the online content and branding industry. She lives in Ann Arbor, Michigan. The post 3 Remarkable Ways to Scale Your Content Marketing Initiatives appeared first on Jeffbullas's Blog.